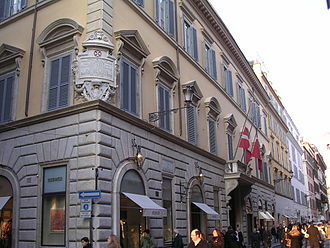 The Council of State was appointed by Parliament on 14 and 15 February 1649, with further annual elections. The Council's duties were to act as the executive of the country's government in place of the King and the Privy Council. It was to direct domestic and foreign policy and to ensure the security of the English Commonwealth. 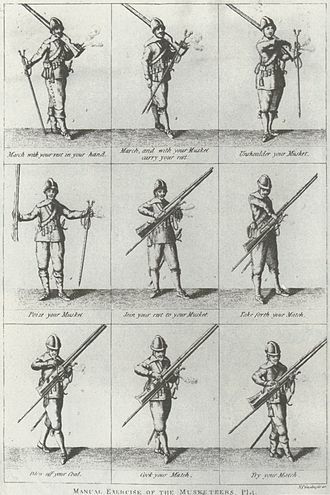 Due to the disagreements between the New Model Army and the weakened Parliament, it was dominated by the Army. The Council held its first meeting on 17 February 1649 "with [Oliver] Cromwell in the chair". This meeting was quite rudimentary, "some 14 members" attending, barely more than the legal quorum of nine out of forty-one councillors elected by Parliament. The first elected president of the council, appointed on 12 March, was John Bradshaw who had been the President of the Court at the trial of Charles I and the first to sign the King's death warrant. The members of the first council were the Earls of Denbigh, Mulgrave, Pembroke, and Salisbury; Lords Grey and Fairfax; Lisle, Rolle, Oliver St John, Wilde, Bradshaw, Cromwell, Skippon, Pickering, Masham, Haselrig, Harington, Vane jun, Danvers, Armine, Mildmay, Constable, Pennington, Wilson, Whitelocke, Martin, Ludlow, Stapleton, Heveningham, Wallop, Hutchinson, Bond, Popham, Valentine Walton, Scot, Purefoy, Jones. When the Rump Parliament was dissolved by Cromwell with the support of the Army Council on 20 April 1653, the Council went into abeyance. It was reconstituted on 29 April with thirteen members seven of whom were Army officers. With the failure of Barebone's Parliament, the Council was re-modelled with the Instrument of Government to become something much closer to the old Privy Council advising the Lord Protector Oliver Cromwell. Constitutionally between thirteen and twenty-one councillors were elected by Parliament to advise the Protector, who was also elected by Parliament. In reality Cromwell relied on the Army for support and chose his own councillors. The replacement constitution of 1657, the pseudo-monarchical Humble Petition and Advice, authorised 'His Highness the Lord Protector'; to choose twenty-one Councillors and the power to nominate his successor. Cromwell recommended his eldest surviving son Richard Cromwell, who was proclaimed the successor on his father's death on 3 September 1658 and legally confirmed in the position by the newly elected Third Protectorate Parliament on 27 January 1659. After the reinstatement of the Rump Parliament (7 May 1659) and the subsequent abolition of the position of Lord Protector, the role of the Council of State along with other interregnum institutions becomes confused as the instruments of state started to implode. The Council of State was not dissolved until 28 May 1660, when King Charles II personally assumed the government in London. 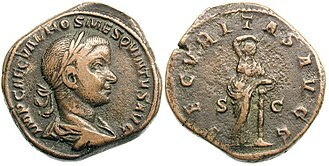 The role of the President of the Council of State (usually addressed as "Lord President") was intended to simply preside over the Council of State. John Bradshaw, the first president, served in the office longer than any other person to do so (serving for two years and ten months total). The reason no other individual served in the position longer than Bradshaw was due to a resolution passed by the Parliament on 26 November 1651 stating that "That no Person of any Committee of Parliament, or of the Council of State, shall be in the Chair of that Committee, or Council, for any longer Time, at once, than one Month" (Commons Journal, 7:43-44). Even during the Protectorate of Oliver and Richard Cromwell, the position of Lord President of the Council of State, known during this period as the Protector's Privy Council, remained in existence until the re-establishment of the monarchy in 1660. The following is a list of those who served as the Lord President of the Council of State. ^ The presidents of the council during this period are listed in alphabetic order—as is done by the source (Schultz 2010)—not in the chronological order of the rest of the list. ^ Hume 1983, Chapter: LX: The Commonwealth: Endnote [a]. ^ Tanner 1928, p. 168. ^ Emerich & Acton 1934, p. 437. ^ a b c Schultz 2010. Colonel John Hutchinson was an English politician who sat in the House of Commons of England from 1648 to 1653 and in 1660. He was one of the Puritan leaders, and fought in the army in the English Civil War. As a member of the court of justice in 1649 he was 13th of 59 Commissioners to sign the death-warrant of King Charles I. Although he avoided the fate of some of the other regicides executed after the Restoration, he was exempted from the general pardon, in 1663, he was accused of involvement in the Farnley Wood Plot, was incarcerated and died in prison. Hutchinson was the son of Sir Thomas Hutchinson of Owthorpe Hall and he was baptised on 18 September 1615. He was educated at Nottingham Grammar School, Lincoln Grammar School and Peterhouse, in 1636 he entered Lincolns Inn to study law, but devoted himself to music and divinity rather than the study of law. Like his father, Sir Thomas Hutchinson, who represented Nottinghamshire in the Long parliament, he took and he first distinguished himself by preventing Lord Newark, the lord-lieutenant of the county, from seizing the county powder-magazine for the kings service. 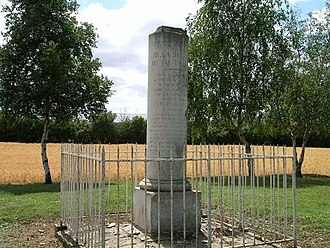 He next accepted a commission as lieutenant-colonel in the regiment raised by Colonel Francis Pierrepont, the town was unfortified, the garrison weak and ill-supplied, with the committee torn by political and personal feuds. The neighbouring royalist commanders, Hutchinsons cousin, and William, Marquess of Newcastle, newcastles agent offered him £10,000, and promised that he should be made the best lord in Nottinghamshire, but Hutchinson indignantly refused to entertain such proposals. Sir Charles Lucas entered it in January 1644 and endeavoured to set it on fire, Hutchinson succeeded in making good these losses, and answered each new summons to surrender with a fresh defiance. 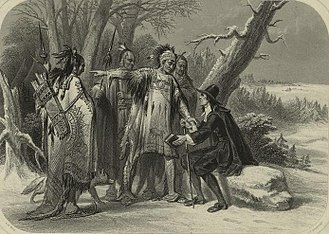 The difficulties were increased by continual disputes between Hutchinson and the committee, which were a result, in Nottingham as elsewhere. But there is evidence that Hutchinson was irritable, quick-tempered, the Committee of Both Kingdoms endeavoured to end the quarrel by a compromise, which Hutchinson found great difficulty in persuading his opponents to accept. The broad definition of regicide is the deliberate killing of a monarch, or the person responsible for the killing of a person of royalty. In a narrower sense, in the British tradition, it refers to the execution of a king after a trial, reflecting the historical precedent of the trial. More broadly, it can refer to the killing of an emperor or any other reigning sovereign. Before the Tudor period, English kings had been murdered while imprisoned or killed in battle by their subjects, elizabeth had originally been excommunicated by Pope Pius V, in Regnans in Excelsis, for converting England to Protestantism after the reign of Mary I of England. 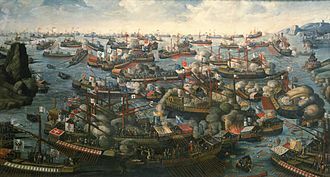 The defeat of the Spanish Armada and the Protestant Wind convinced most English people that God approved of Elizabeths action, after the First English Civil War, King Charles I was a prisoner of the Parliamentarians. They tried to negotiate a compromise with him, but he stuck steadfastly to his view that he was King by Divine Right, on 13 December 1648, the House of Commons broke off negotiations with the King. In the middle of December, the King was moved from Windsor to London, the House of Commons of the Rump Parliament passed a Bill setting up a High Court of Justice in order to try Charles I for high treason in the name of the people of England. From a Royalist and post-restoration perspective this Bill was not lawful, the Parliamentary leaders and the Army pressed on with the trial anyway. At his trial in front of The High Court of Justice on Saturday 20 January 1649 in Westminster Hall, I would know by what authority, I mean lawful. In view of the issues involved, both sides based themselves on surprisingly technical legal grounds. Charles did not dispute that Parliament as a whole did have some powers, but he maintained that the House of Commons on its own could not try anybody. At that time under English law if a prisoner refused to plead this was treated as a plea of guilty and he was found guilty on Saturday 27 January 1649, and his death warrant was signed by 59 Commissioners. To show their agreement with the sentence of death, all of the Commissioners who were present rose to their feet. On his fathers death Richard became Lord Protector, but lacked authority. He attempted to mediate between the army and civil society, and allowed a Parliament which contained a number of disaffected Presbyterians. Suspicions that civilian councilors were intent on supplanting the army were brought to a head by an attempt to prosecute a major-general for actions against a Royalist. 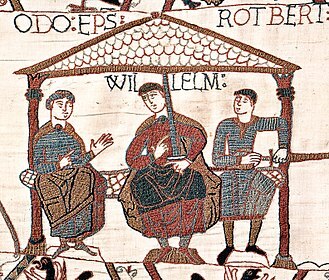 The army made a show of force against Richard, and may have had him in detention. Without a king-like figure, such as Cromwell, as head of state the government lacked coherence, monck presided over the Restoration of 1660. Richard Cromwell subsisted in straitened circumstances after his resignation, he went abroad and he eventually returned to his English estate, dying in his eighties. None of his children had offspring of their own and he has no descendants, Cromwell was born in Huntingdon on 4 October 1626, the third son of Oliver Cromwell and his wife Elizabeth. Little is known of his childhood and he and his three brothers were educated at Felsted School in Essex close to their mothers family home. There is no record of his attending university, in May 1647, he became a member of Lincolns Inn. He may have served as a captain in Thomas Fairfaxs lifeguard during the late 1640s, in 1649 Cromwell married Dorothy Maijor, daughter of Richard Maijor, a member of the Hampshire gentry. He and his wife moved to Maijors estate at Hursley in Hampshire. During the 1650s they had nine children, five of whom survived to adulthood, Cromwell was named a Justice of the Peace for Hampshire and sat on various county committees. Better than idleness, or mere outward worldly contents and these fit for public services, for which a man is born. 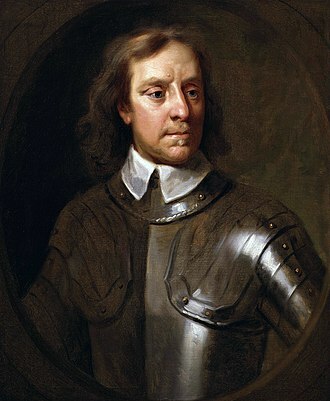 He fought in none of the English civil wars, Oliver Cromwell had risen from unknown member of Parliament in his forties to being commander of the New Model Army, which emerged victorious from the English Civil War. A Puritan regime strictly enforced the Sabbath, and banned almost all form of public celebration, in 1653, Cromwell was passed over as a member of Barebones Parliament, although his younger brother Henry was a member of it. The republics existence was declared through An Act declaring England to be a Commonwealth, adopted by the Rump Parliament on 19 May 1649. Power in the early Commonwealth was vested primarily in the Parliament, the Rump was created by Prides Purge of those members of the Long Parliament who did not support the political position of the Grandees in the New Model Army. Just before and after the execution of King Charles I on 30 January 1649, with the abolition of the monarchy, Privy Council and the House of Lords, it had unchecked executive and legislative power. The English Council of State, which replaced the Privy Council and it was selected by the Rump, and most of its members were MPs. However, the Rump depended on the support of the Army with which it had an uneasy relationship. After the execution of Charles I, the House of Commons abolished the monarchy and it declared the people of England and of all the Dominions and Territories thereunto belonging to be henceforth under the governance of a Commonwealth, effectively a republic. In Prides Purge, all members of parliament who would not accept the need to bring the King to trial had been removed, thus the Rump never had more than two hundred members. Most Rumpers were gentry, though there was a proportion of lesser gentry. Less than one-quarter of them were regicides and this left the Rump as basically a conservative body whose vested interests in the existing land ownership and legal systems made it unlikely to want to reform them. For the first two years of the Commonwealth, the Rump faced economic depression and the risk of invasion from Scotland and Ireland, by 1653 Cromwell and the Army had largely eliminated these threats. There were many disagreements amongst factions of the Rump, some wanted a republic, but others favoured retaining some type of monarchical government. Most of Englands traditional ruling classes regarded the Rump as a government made up of regicides. However, they were aware that the Rump might be all that stood in the way of an outright military dictatorship. William Heveningham was an English politician who sat in the House of Commons from 1640 to 1653. He supported the Parliamentary cause in the English Civil War and was one of the Regicides of Charles I of England, the son of Sir John Heveningham, he was High Sheriff of Norfolk in 1633. In April 1640, he was elected Member of Parliament for Stockbridge in the Short Parliament and he was re-elected MP for Stockbridge for the Long Parliament in November 1640 and sat until 1653 in the Rump Parliament. He served on committee of Eastern Association in 1646, as a member of high court he refused to sign death-warrant of Charles I in 1649. He was a member of council of state in 1649 and was appointed Vice-Admiral of the Coast for Suffolk in 1651, at the Restoration Heveninghams life was saved by the exertions of his wifes relations in 1661. He was imprisoned at Windsor in 1664, Heveningham married firstly Katherine Walop, d. 1648, daughter of Sir Henry Wallop and they had two children, William Heveningham, d.
John Bradshaw was an English judge. 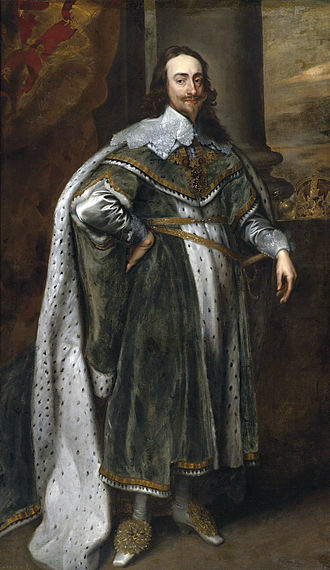 He is most notable for his role as President of the High Court of Justice for the trial of King Charles I, as a child he attended the free school at Stockport, as well as schools in Bunbury and Middleton. During his teenage years he attended The Kings School, Macclesfield and he was articled as clerk to an attorney in Congleton. Almost opposite the hall, the White Lion public house bears a blue plaque, placed by the Congleton Civic Society. Said to have housed the office where John Bradshaw, regicide. After studying English law in London, he was called to the bar at Grays Inn on 23 April 1627 and he served on the provincial bar of Congleton until he became mayor in 1637. On 3 January 1638 he was married to Mary, a daughter of Thomas Marbury, at some time between 1640 and 1643, Bradshaw moved from Congleton to Basinghall Street in London. In 1643, he was elected judge of the London sheriffs court and he maintained the post until his death. Following the death of the Earl of Essex in 1646, Parliament voted Somerhill House to Bradshaw and he was appointed a serjeant-at-law by Parliament and in 1648 Chief Justice of Chester and North Wales. In 1649 he was president of the parliamentary commission to try the king. Other lawyers of greater prominence had refused the position, Bradshaw was a controversial choice as Lord President, and opinions of his efficiency as a judge varied. Bulstrode Whitelocke believed that he was learned in his profession, but Thomas Fuller dismissed him as a man of execrable memory, the King himself, as well as much of the court, professed to having never heard of him. While he served as the Lord President, he was flanked by a personal guard. He wore scarlet robes and a broad-brimmed, bullet-proof beaver hat, King Charles refused to recognise the authority of the court and would not plead. After declaring Charles I guilty as a Tyrant, Murderer, under English law, a condemned prisoner was no longer alive and therefore did not have the right to speak, and Bradshaw followed this tradition strictly. On 12 March 1649 Bradshaw was elected President of the Council of State, which was to act as the Executive of the government in place of the King. Sir Oliver St John, was an English judge and politician who sat in the House of Commons from 1640 to 1653. He supported the Parliamentary cause in the English Civil War, St John was the son of Oliver St John of Cayshoe and his wife Sarah Bulkeley, daughter of Edward Bulkeley of Odell, Bedfordshire. His sister, Elizabeth St John, married Reverend Samuel Whiting and emigrated to Boston and he matriculated from Queens College, Cambridge at Lent 1616, and was admitted at Lincolns Inn on 22 April 1619. He was called to the bar in 1626, St John appears to have got into trouble with the court in connection with a seditious publication, and to have associated himself with the future popular leaders John Pym and Lord Saye. In 1638 he defended John Hampden, along with co-counsel Robert Holborne, on his refusal to pay Ship Money, on which occasion he made a notable speech which established him as a leading advocate. In the same year he married, as his wife, Elizabeth Cromwell. The marriage led to a friendship with Cromwell. In April 1640, St John was elected Member of Parliament for Totnes in the Short Parliament and he was re-elected MP for Totnes for the Long Parliament in November 1640. He acted in close alliance with Hampden and Pym, especially in opposition to the impost of Ship Money, in 1641, with a view of securing his support, the king appointed St John solicitor-general. This did not prevent him taking a role in the impeachment of Thomas Wentworth, 1st Earl of Strafford. As a result, he was dismissed from the office of Solicitor General in 1643, on the outbreak of the Civil War, St John became recognised as one of the parliamentary leaders. In the quarrel between the parliament and the army in 1647 he sided with the latter, and was not excluded under Prides Purge in 1649, throughout this period he enjoyed Cromwells confidence. Apart from Cromwell he had few friends, his manner was described as cold and forbidding. In 1648 St John was appointed Chief Justice of the Common Pleas and he refused to act as one of the commissioners for the trial of King Charles I, and had no hand in the constitution of the Commonwealth. 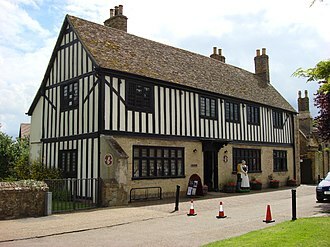 Alexander Popham, of Littlecote, Wiltshire was an English politician who sat in the House of Commons at various times between 1640 and 1669. He was patron of the philosopher John Locke, Popham was born at Littlecote House in Wiltshire, the son of Sir Francis Popham and Anne Gardiner Dudley, and grandson of Sir John Popham and wife Amy Games. He was educated at Balliol College and admitted to the Middle Temple in 1622, Popham was a prominent figure and Justice of the Peace in Somerset. In April 1640 he was elected Member of Parliament for Bath in the Short Parliament and he was re-elected MP for Bath for Long Parliament in November 1640. Popham came from a Presbyterian family and was himself an elder in the church and he supported the Parliamentary cause and fought in the Parliamentary army with the rank of colonel and had a garrison stationed at Littlecote House. In 1654 he was elected MP for Bath again in the First Protectorate Parliament and he was elected MP for Wiltshire in the Second Protectorate Parliament and for Minehead in the Third Protectorate Parliament. He did not support the Protectorate and although he sat in the Protectorate parliaments he refused to take his seat in Cromwells Other House, in April 1660 he was elected MP for Bath again in the Convention Parliament. 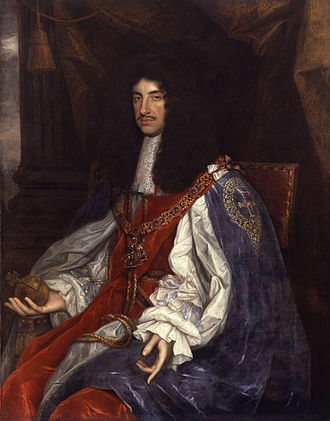 After the restoration of the monarchy, he made his peace with Charles II and he was re-elected MP for Bath in 1661 to the Cavalier Parliament. Popham married Letitia Carre, daughter of William Carre of Ferniehurst, half brother to Robert Carre and their daughter, married firstly Edward Montagu, Viscount Hinchingbrooke, and secondly Francis Seymour, of Sherborne, Dorset. Letitia Popham, who married Sir Edward Seymour, 5th Baronet and her son was Edward Seymour, 8th Duke of Somerset, who inherited the dukedom from his fathers 6th cousin Algernon Seymour, 7th Duke of Somerset who died in 1750 without male children. Essex Popham, eldest daughter, who married on 17 August 1663 John Poulett, Letitia Popham, who became the second wife of Sir Edward Seymour, 4th Baronet, of Berry Pomeroy in Devon. Proclamation announcing the death of Oliver Cromwell and the succession of Richard Cromwell as Lord Protector. Printed in Scotland 1658. This contemporary print depicts Charles I's decapitation. The 2nd Earl of Denbigh. The 2nd Earl of Salisbury by George Geldorp.